There are thousands of companies that will pay you commissions for any sales that you generate on their behalf, an arrangement known in the online business world as affiliate marketing. 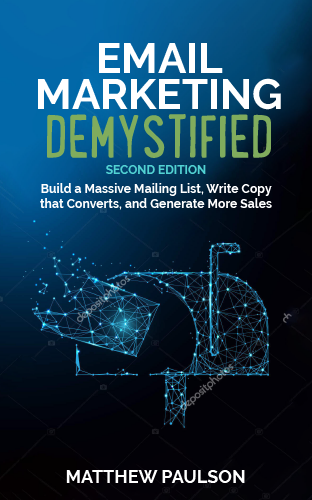 Promoting other companies’ products and services to your mailing list can be an extremely effective way to generate revenue if you can find a product or a service that is a great match for your audience. Even if your company produces its own products and services, you should still consider promoting other companies’ products because you can only talk about your products so much before your audience gets sick of hearing about them. Finding products and services to promote as an affiliate is an incredibly straightforward process. There are several large advertising networks that focus exclusively on creating affiliate relationships between advertisers and publishers. These affiliate networks will handle any necessary paperwork, provide banners and other creative to use on your website, serve as an intermediary in the relationship and make sure that you get paid for your efforts. Affiliate networks also make it very easy to find products and services to promote. They will list advertisers by category and show which advertisers other publishers are currently having the most success with. Commission Junction, a large affiliate advertising network, currently has nearly 3,000 different advertisers listed. You will have the most success by promoting products that are closely related to the content that you write about. If you had a website about investing, you would primarily want to promote investing related services like stock brokerages and stock research tools. You wouldn’t get good results by promoting unrelated services like web hosting and domain name registration services. If you are overwhelmed by the sheer number of advertisers that list their products on affiliate networks, you can simplify the process by looking at what products and services your competitors and other similar websites are promoting. If several other websites are all promoting a specific advertiser and they have been for several months, there’s a good chance they are making good money by promoting that advertiser. To identify which advertising network a particular advertiser is using, simply do a web search for the name of the advertiser followed by the word “affiliate program” and the sign-up link will appear more often than not. How does an affiliate marketing email actually work? After you have found an advertiser that you want to promote and have signed up for their affiliate program through an advertising network, you will be given hyperlinks to use that will track any sales that you generate. They may also include an image tag that serves as a tracking pixel for you to include in your email. You will write a sales and marketing email to your audience as you normally would for one of your own company’s products and services. Use the hyperlink they provided you as the hyperlink in your call-to-action so that sales are properly tracked. If they provided a tracking pixel, place it in your HTML at the bottom of your email so that the number of times the offer was viewed can be properly tracked by the affiliate program. How much can I make through affiliate marketing? With affiliate marketing, payments are made based on the actual sales that you generate. The amount of money that you can make through affiliate marketing depends on a number of factors, including the size of your list, the relevance of the product or service to your list and the effectiveness of the marketing copy that you use to write a product. If you have a small list and are ineffectively promoting a product that’s not relevant to your list, you probably won’t make anything through affiliate marketing. If you have a larger list of highly-engaged subscribers that trust your recommendations and you can promote a product or service that’s very relevant to your audience, you can make tens of thousands of dollars per month through affiliate marketing. If you have a list of a few thousand subscribers, you will probably earn $100-$200 per month through affiliate marketing for the first several months. Your revenue will steadily grow from there overtime as your list grows and as you identify products and services to promote that are a good match for your list. What best practices should I follow as an affiliate? Be Transparent – You should always disclose to your subscribers if you are receiving a commission for promoting a product or service for honesty, transparency and even legal reasons. 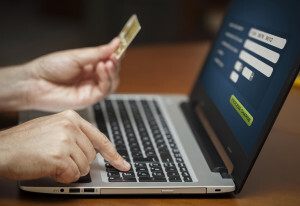 In the United States, the FTC requires that you disclose any payment that you receive for endorsing a product or service. You can read the FTC’s endorsement guidelines at http://1.usa.gov/1FRMynQ. Promotion Equals Endorsement – If you are promoting a product as an affiliate, you are personally endorsing that product as something your subscribers should use. If you wouldn’t personally use a product or service, don’t promote it to your mailing list. Your subscribers will lose trust in you if you promote low-quality products and are only concerned with the affiliate commissions that you generate. Don’t Over Promote One Product – You will see diminishing returns after you continue to promote the same product over time. Rotate the products and services that you promote in order to avoid overexposing any one advertiser to your mailing list. Include a Bonus – In order to make sure that a subscriber signs up for something through your affiliate link, create a bonus product that’s only available to subscribers that sign-up through your affiliate link. You can use one of your existing products or can create an educational piece of content to serve as your bonus. Have subscribers forward you the welcome email or the receipt that they get from the advertiser in exchange for the bonus product that you create. Follow Program Rules – Each affiliate advertiser will have their own set of program rules. They may place limitation on the language that you use and the ways that you promote their product or service. Actually take the time to read the rules set out by each advertiser to avoid having your relationship terminated because you inadvertently broke one of their program rules. Pat Flynn (www.smartpassiveincome.com) is a great example of someone that does affiliate marketing properly through email, his website and his podcast. He has established himself as an online business experts and recommends tools, products and services to his audience that can help them build their online businesses. He only promotes products that he can personally recommend and is always transparent when he receives an affiliate commission for promoting something. He has built such a large audience and has gotten so effective at affiliate marketing that the commissions he generates through affiliate marketing have become far larger than the actual revenue he makes from his other online businesses. It’s not uncommon for Flynn to generate between $50,000 and $100,000 each month through his affiliate marketing efforts. Absolutely great post with valuable tips..i enjoyed reading your blogs..Thanks for sharing such points. I am impressed!! ;) I would like to say thank you for sharing this cool article. Bookmarked and sharing for friends. Great article matt, but people often make mistakes and that’s where vets like us can help! Feel free to check us out in the link below and keep up the hard work! Very informative article Matt. Many people who try to sell as an affiliate try to hide themselves away. What they really need to do is to be as upfront and open as possibleso that they can start to earn the readers trust in them. Have you ever promoted an affiliate offer via email? Most of these affiliate offers & sites clearly state that you can NOT promote the affiliate links via email marketing. Does anyone have a quality source that will allow email marketing promotion without banning you from their site? Excellent article, I thing that to earn some money online is not so hard, but requires to learn to do it. Superb Article, incredibly helpful for beginners like me. Great article. Here is some additional reading about how to promote affiliate links with email marketing.